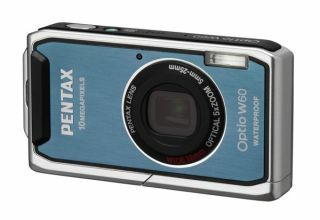 Taking Pentax to its lowest ever underwater levels is the Optio W60. This 10-megapixel camera allows users to take images to a depth of 13 feet – 30 per cent deeper than prior Pentax models – and can be used in water for up to two hours. That’s if your wrinkled fingers are still working 120 minutes into a dive. The camera has all the features you have come to expect from the Pentax range, including a 5x optical zoom, a focal range from 5-25mm and a high-quality movie mode that shoots 1280 x 720 HD footage. It also has a Underwater Movie mode which is handy when you’re beneath the waves and Face Recognition. Fish Recognition, though, is not available as an option.